Old Billiard Room comes back to life! 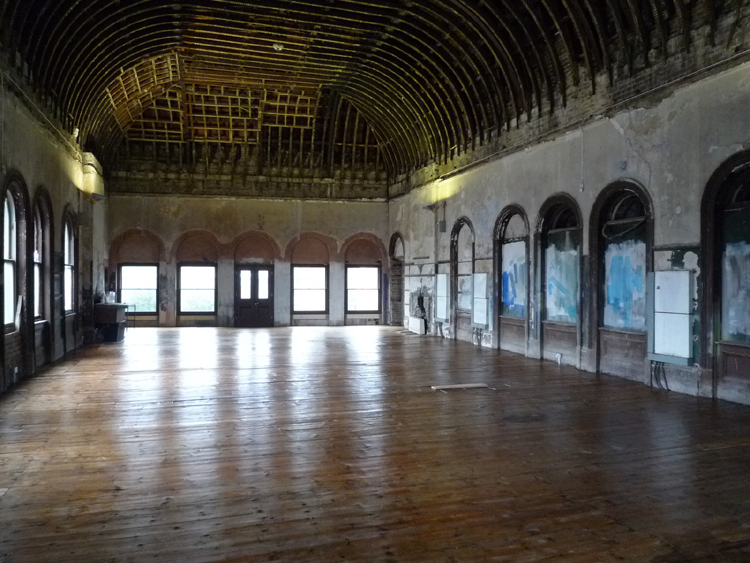 Daylight now floods, just as it used to, through large Victorian windows into the magnificent huge Old Billiard room above the ticket hall at Peckham Rye station. This is the successful result of collaboration between The Peckham Society, Rye Lane & Station Action Group, Southwark Council, Southern Rail and Network Rail. 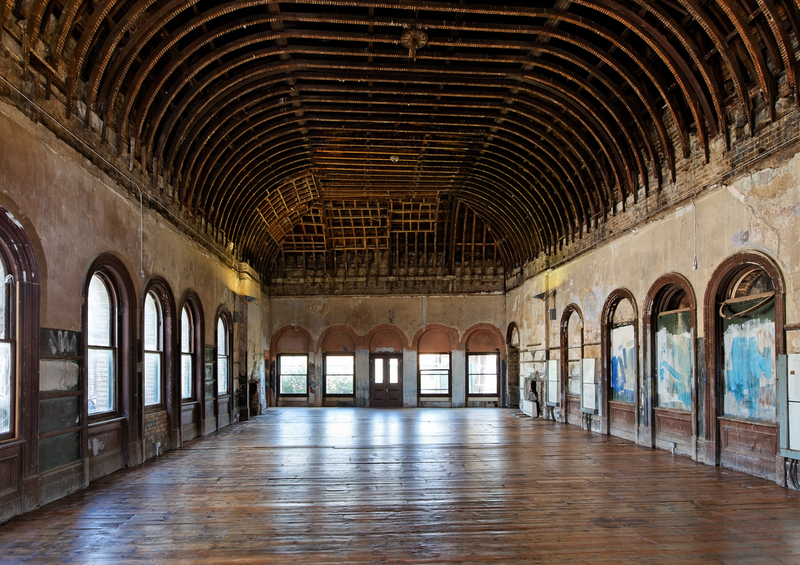 The Peckham Society have now proposed the next stage – to restore the wooden floor and make the room fit for community and public use again. 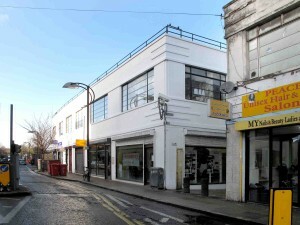 This is a significant contribution to the transformation of central Rye Lane (see here). “NEW DESIGNS for Peckham Rye train station have been unveiled as the council presses ahead with plans to regenerate the area, despite the body blow that no tram will come there. A summit of key figures will sit down tomorrow and thrash out how the ambitious policy will be funded, with a discussion on how pressure can be applied to Network Rail to open up its purse strings. 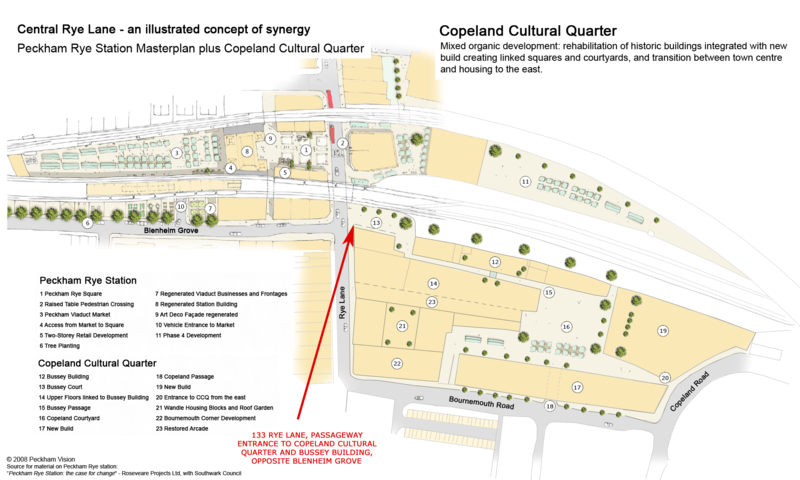 If the plans were approved, areas at the front and back of Peckham Rye station will be transformed into a piazza leading onto Rye Lane, and a market area at the rear using the existing arches as access points. 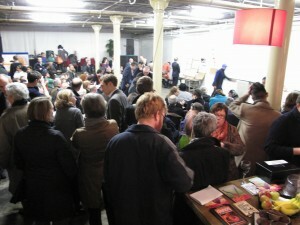 The meeting, led by Peckham Community Council, aims to change the instant impression people get when they walk out of the station. 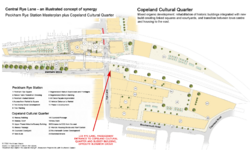 It will also attempt to make the station the focal point of the area.